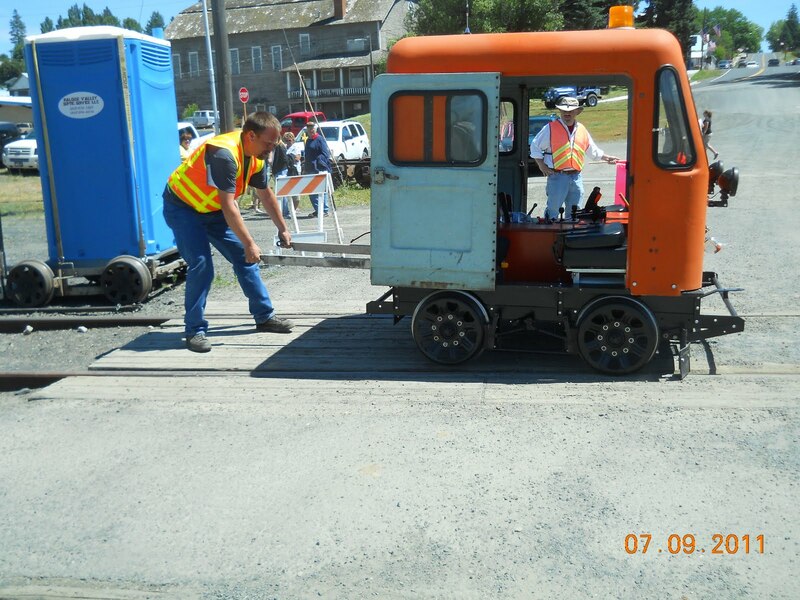 The 8th Annual HPG Depot Days are over and the speeder operators and HPG volunteers are now recovering. 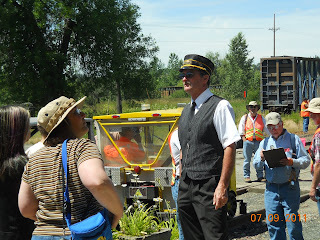 What an excellent weekend to ride the rails! 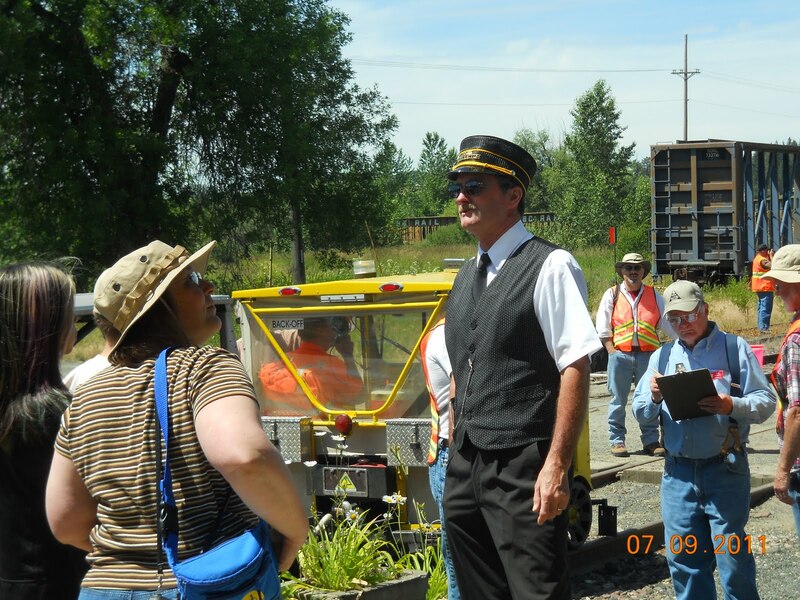 The weather was perfect, the 23 speeder cars and their operators managed to delight the riders again, and the seasoned volunteers kept things on time. The thank you's can start with Jim West doing a bit more on the freight room finish work, then Kenny Cada doing intense cleaning, and Jack Coyner and Don Somers getting the Kennedy Ford turnaround ready. Such details often go unnoticed but are very important! We also have to give a special salute to Caryn Brown and Shannley Moon, who did presale and ticket sales﻿. These girls are so organized it's scary! And the seasoned veteran Don Somers got all the speeders checked in and ready. The dock workers are a well-oiled machine by now. Thank you Don Somers, Roger Farrell, Mike Kauffman-- and Dave Vos and Dave Zuhn from Minnesota! And don't forget one very key player: Jack Coyner, who distributes water for the thirsty crews! Also flaggers Aaron and Brian Magelky, Hal Van deVord, Jim Evermann, Joel and Cynthia King and son Phillip, Dave Nice, Kathylu Szabo, Kathleen Burns, Webb and Isaac French, and Tom and Peter Hillebrant. Details of how many rode the speeders and how much income was derived are still being processed, but suffice it to say we had a very good year! 1. Speeders ready to go! 2. 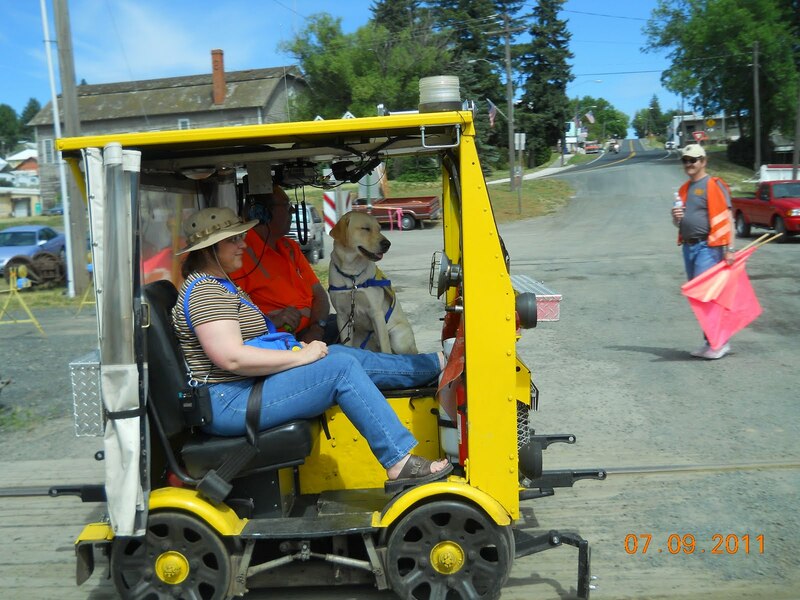 Don and Joyce Holst, from Grants Pass and newcomers to the speeder lifestyle, prepare to take on passengers. 4. Jack Coyner, speeder event co-coordinator, shares some down time with flaggers Brian and Aaron Magelky. 5. Shirley Somers gets a speeder ride with Mark Hudson who came all the way from Dry Ridge, Kentucky! 6. 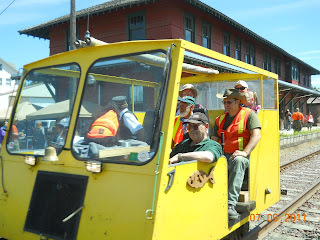 Clyde Andrews pilots the John Henry down the track with special guest Keith Petersen, Idaho State Historian, his wife Mary Reed and their friends Steve and Chris Talbott. 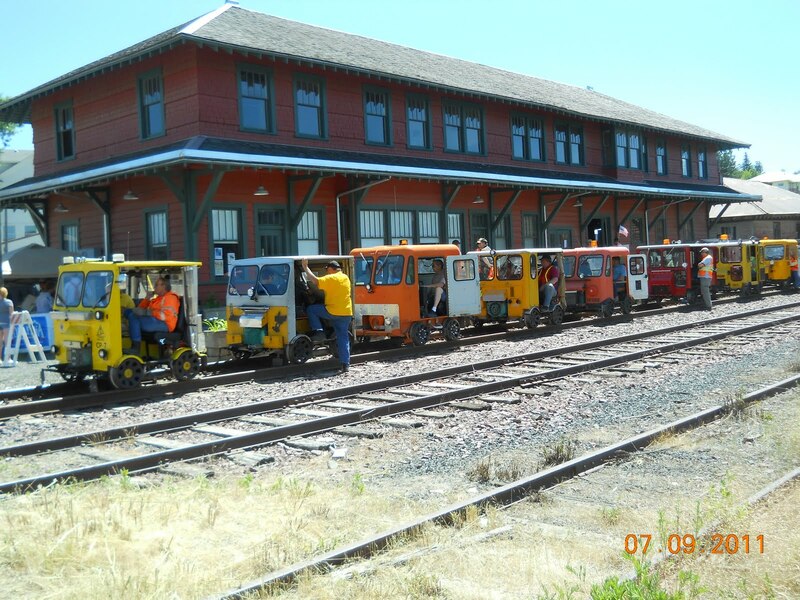 July 9 marked the HPG's eighth speeder event, and as always, the day brought people from far and wide to ride the rails to either Princeton or Kennedy Ford, with a longer ride to Palouse as the grand finale. Stay tuned for a separate posting on the wrap-up on our Depot Days event. Meanwhile, some of the stalwart volunteers got a grand finale of their own, riding to Moscow the day after on July 10. For me, your loyal blogger (Barb Coyner), the ride with Clyde Andrews in the John Henry, was the best speeder ride ever!!! Clyde and his son Kurt brought the larger speeder from Othello and we were glad to see the father-son team back after several years of not attending (We did miss seeing Clyde's wife Bonnie!). Don Somers and Jack Coyner also got to enjoy the ride to Moscow and back, as we departed from the Potlatch Depot at 8:30 am and returned at 3 pm. The weather could not have been better and the views riding through the wheat fields of the Palouse were grand. At one point, a cropduster dive-bombed a field next to the track, adding a bit of excitement. We also enjoyed some nice scenery along the Palouse River and an inspiring panorama as we scooted down the grade into Moscow. It is rides such as these that refresh the weary crew, and allow the speeder operators to regroup after giving many rides the day before. Our thanks to these loyal operators will never be enough! At the conclusion of our ride, Shirley Somers had the margaritas waiting as Don, Jack and Barb recapped a very busy weekend!